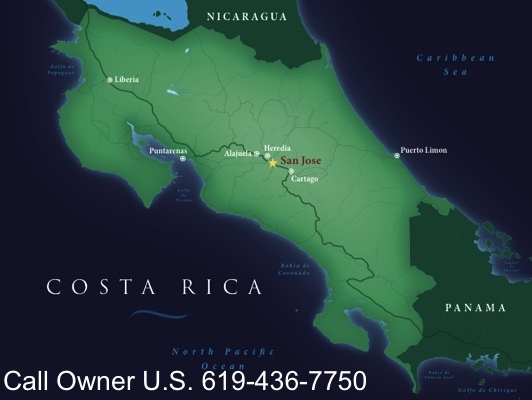 The site is located in new Cortez City, a small village just south of Dominical; Dominical is a small surf town situated in the southwest quadrant of Costa Rica. 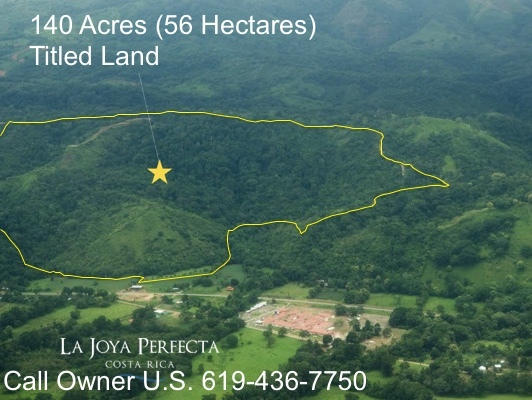 The site is located on a hillside, and is adjacent to the Pan- American Highway. 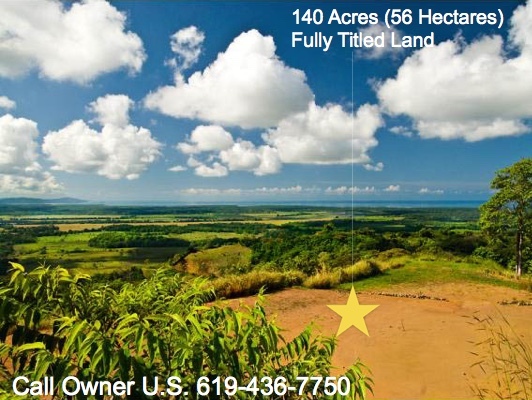 The parcel of land the project site sits on is approximately 140 acres. 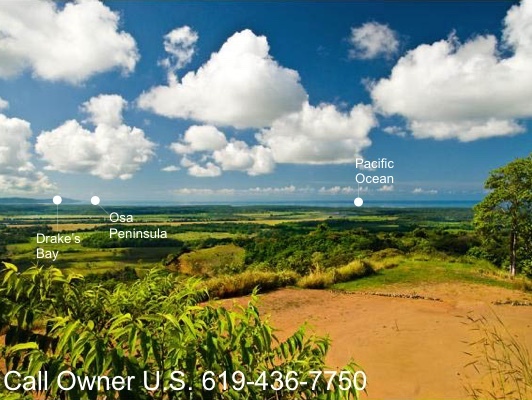 The project site is 6.2 miles away from the Pacific Ocean. 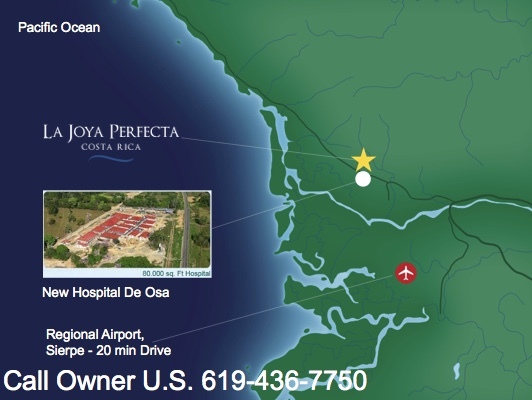 Closest Domestic Airport – Palmar Sur, 20 minutes by car from the Site. 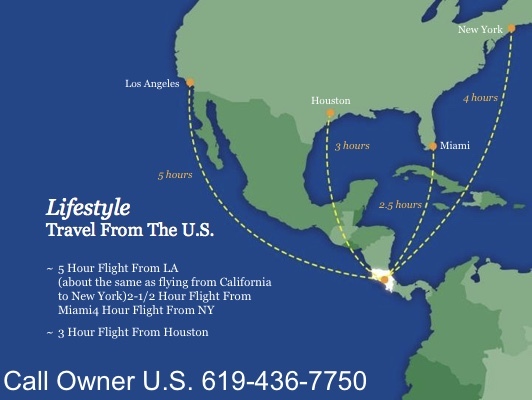 Closest International Airport – San Jose, 4.5 hours by car from the Site. 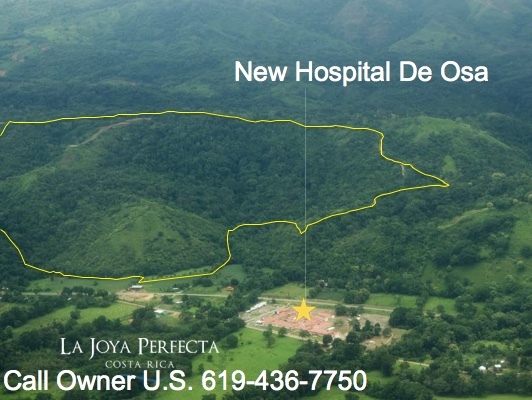 Across street from New Hospital de Osa in City of Cortez. 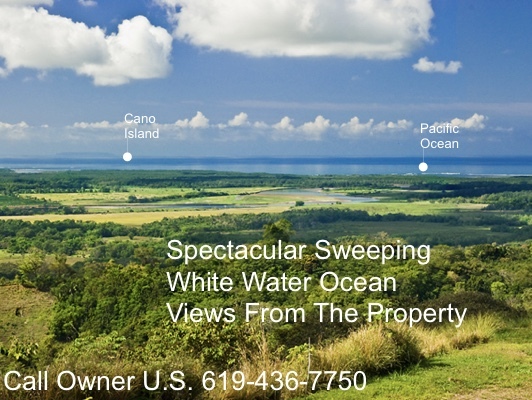 The site offers sweeping unobstructed views of the Pacific Ocean. 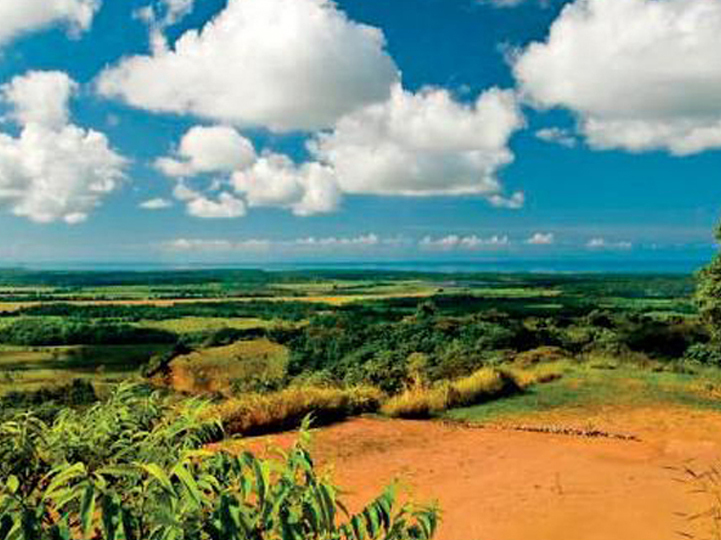 With a resort style feel, with the added serenity of rainforest, streams, and naturally occurring waterfalls. D-1 Entitlement submitted in 2017 to develop up to 100+ subdivided residential and mixed commercial units. 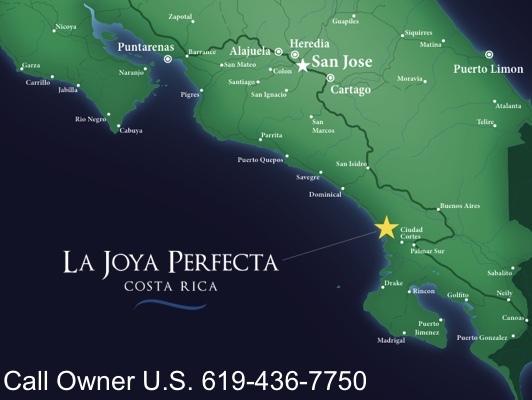 The secluded hillside location allows for development of homes, condos or rooms for guests remove themselves from the normally congested areas that many travelers to Costa Rica experience. 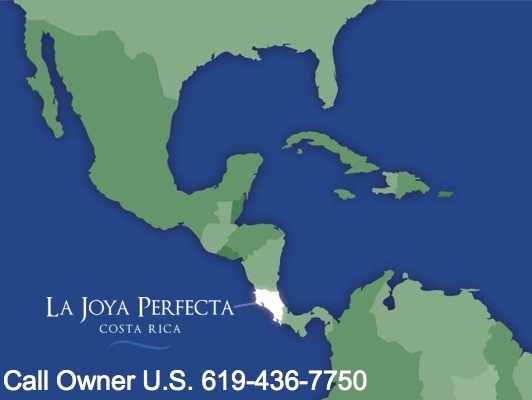 La Joya Perfecta LLC (“Ownership”) purchased a 162 acre preserve in 2007 located in Cortez City, Puntarenas Province, Costa Rica with the intent to develop a branded boutique second-home residential wellness community. 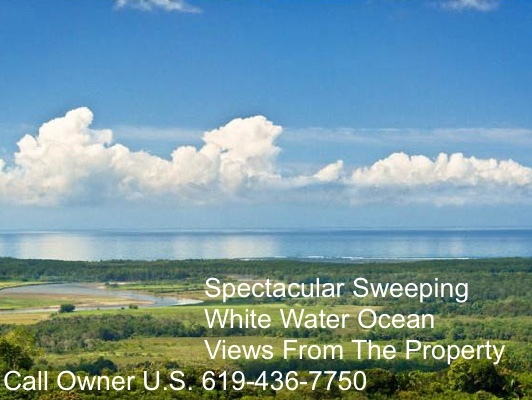 The owner now wishes to offer the sale of the property to an investor or developer. 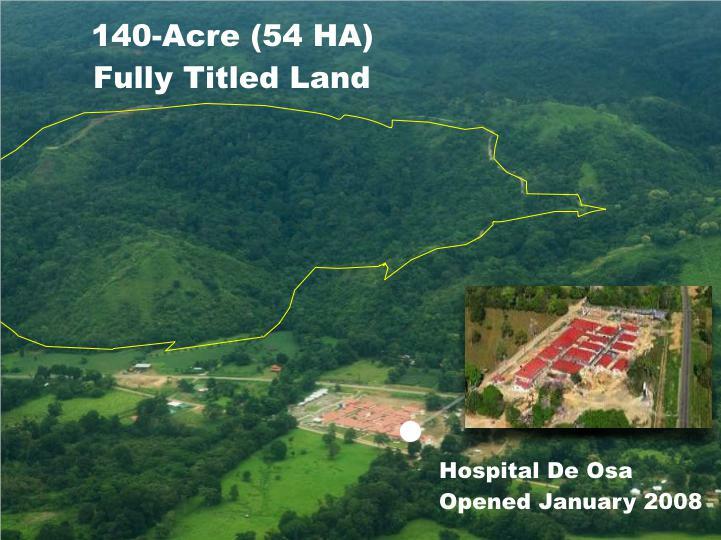 The masterplan, financial model, and permitting are available upon request. Existing foliage and earth present at the site needs to be cleared before construction can begin. 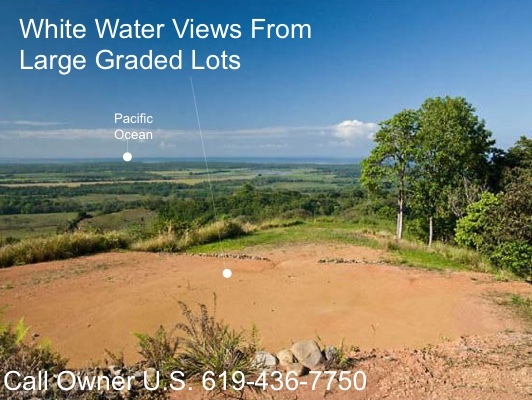 The vertical rise of the site is approximately 760 feet. 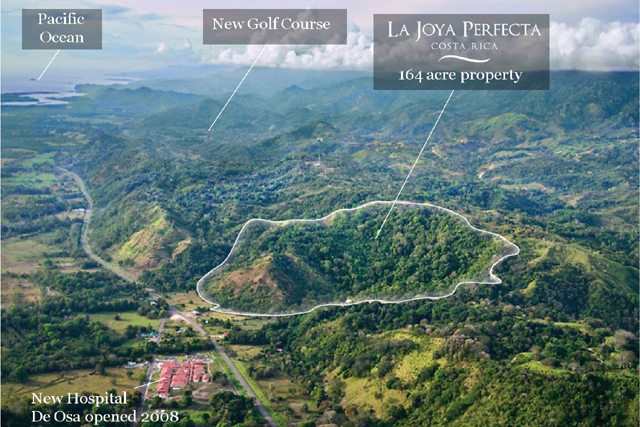 Ownership selected the site for its ease of Access from the Pan-American Highway as well as its seclusion in the hills; the site is away from congested beaches and cities. 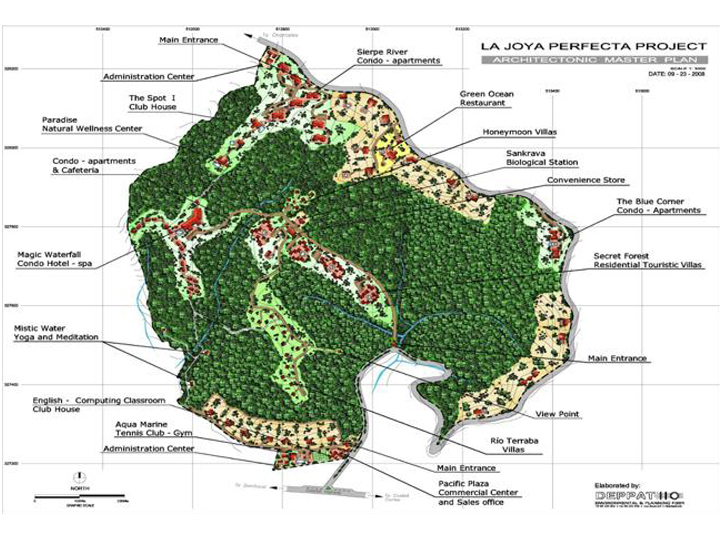 The characteristics of the site and the design contribute to the tranquil nature and proposed intent for the Development. 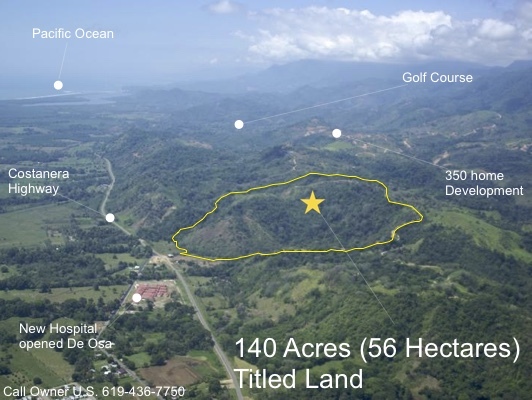 The site is in proximity to several internationally recognized, well-protected nature and wildlife areas, including the OSA Peninsula. 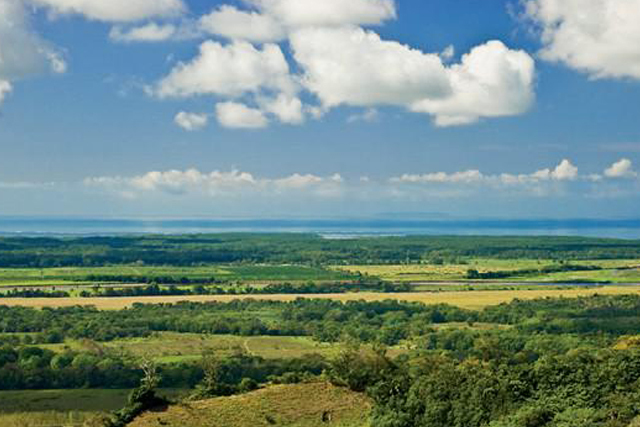 The site supports a wide range of wildlife, including monkey, birds, amphibians, reptiles, and plants. 65 guest rooms and Villas. o28 standard guest rooms, 25 deluxe guest rooms, and 12 villas. 36 spa and wellness treatment rooms. Mind, body, and fitness spaces. 7,040 square feet of meeting and education space. According to SRI International 2014, Wellness Travelers on average spend 105% more than the average traveler on international trips and 150% more than the average traveler on domestic trips. Are loyal and demonstrate a 40% to 60% repeat visitation rate. Tend to book directly with a specific wellness retreat; within the wellness retreat industry, 50% to 65% of reservations are made directly with a specific retreat. Book their stays per person rather than per room; this results in higher RevPAR. Spend the majority of their time on-property. Place higher value on soft-costs (human interaction, experience) than hard costs. Visit wellness retreats year-round; well-conceptualized and operated wellness retreats are seasonality proof. Are vocal about their experience and often encourage friends and relatives to try. 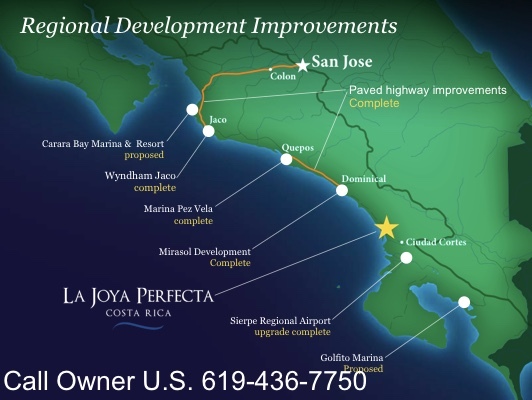 Over the past 5 years, the number of total arrivals to Costa Rica has increased at a CAGR of 6%, totaling over 2.4 million international arrivals in 2013. 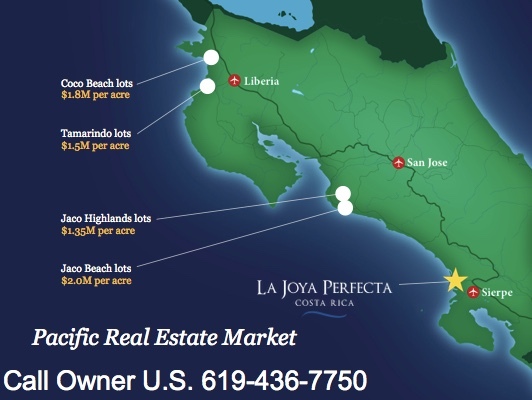 The World Travel and Tourism Council forecasts that the Costa Rican tourism landscape will continue to grow at the same annual growth rate until 2024. 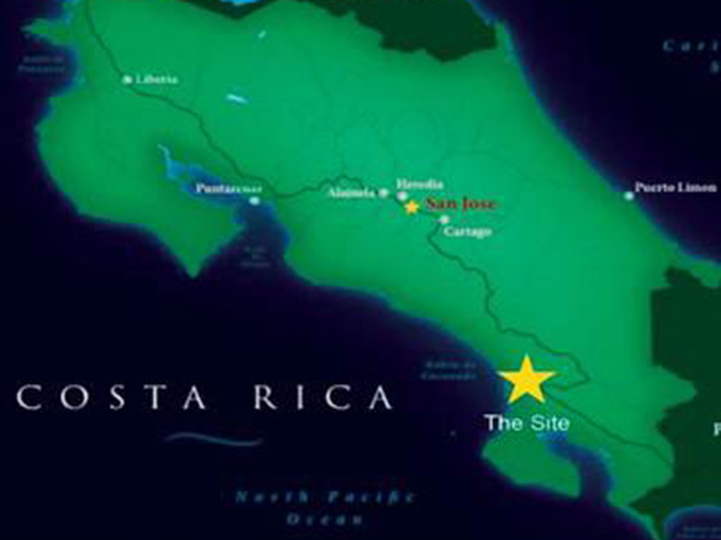 North Americans and Europeans account for approximately 60% of total annual arrivals in Costa Rica. 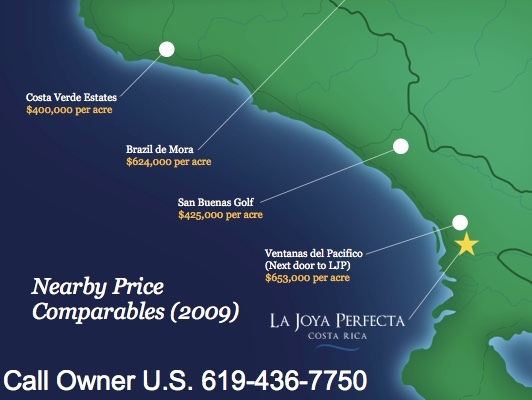 According to Smith Travel Research, luxury resorts in Costa Rica operate at occupancy levels ranging between 60% and 70% and generate an average daily rate around $300.